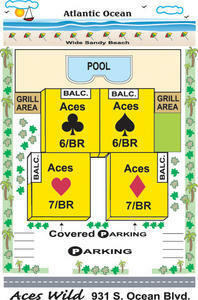 Play your hand correctly and you will wind up with an incredibly memorable vacation at a lovely North Myrtle Beach villa. Featuring a shared swimming pool, oceanfront view and easy beach access, Aces Wild Club is the vacation beach rental house of your dreams in pretty South Carolina. This beach villa is a lovely North Myrtle Beach house rental! Vacation at this beach villa and pamper your family. The outdoor swimming pool at Aces Wild Club will spoil you as it is only shared with three other villas. Aces Wild Club is three stories on the North Myrtle Beach oceanfront. 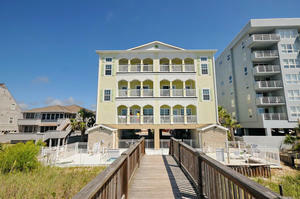 This vacation villa rental features six spacious bedrooms and two with oceanfront balconies in lovely South Carolina. This villa is ideal for a big North Myrtle Beach golf getaway or a family reunion. Check out the modern game room in Aces Wild Club that caters to everyone in your family with video games. In addition to the shared swimming pool, this quartet of oceanfront villas also provides a grill for guests of Aces Wild Club. A pathway leads you from this villa to the vast South Carolina beach. 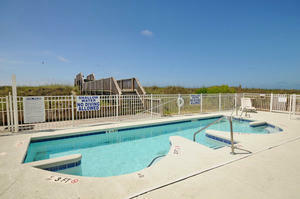 Having the ocean so close to your vacation rental accommodations at Aces Wild Club is exquisite. Aces Wild Club is a beach vacation rental only minutes away from North Myrtle Beach golf, seafood restaurants, water sports, and live entertainment for the whole family.